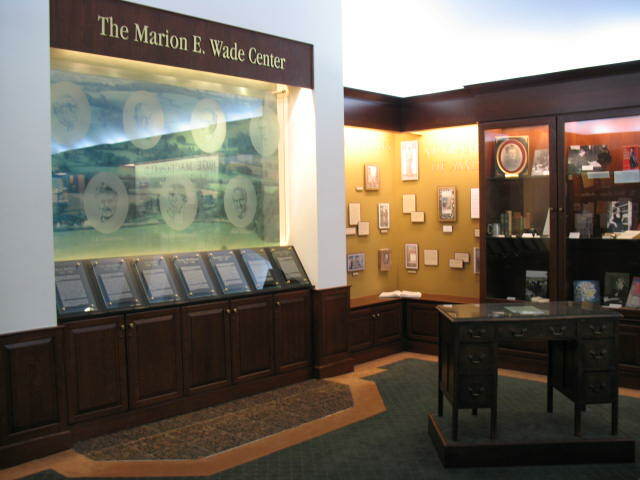 All images are owned by The Marion E. Wade Center and may not be used without permission. 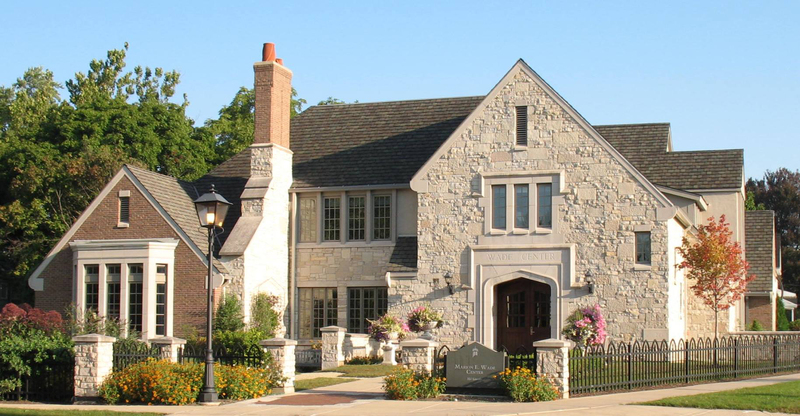 For a tour of our facility, see the Visual Tour on our website. A taste of our beautiful English garden. 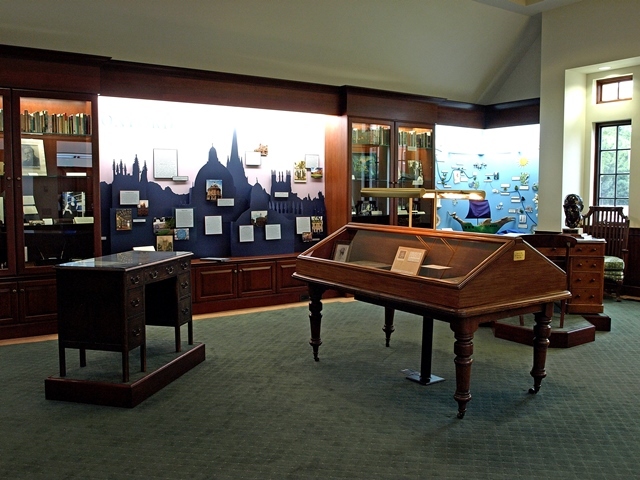 The Museum – Photo 1: a biographical display on the seven Wade authors, and the desk of J.R.R. Tolkien. 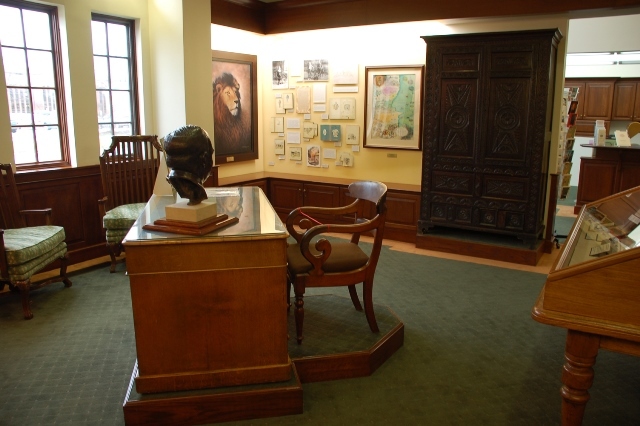 The Museum – Photo 2: the desk and chair of C.S. Lewis, Lewis’s wardrobe, and an original map of Narnia by Pauline Baynes. The Museum – Photo 3: Another view of the museum. Our displays change regularly, so there is always something new for returning visitors to see. The Kilby Reading Room – Photo 1: Books by and about the seven Wade authors are stored in this room for patrons to use on-site. 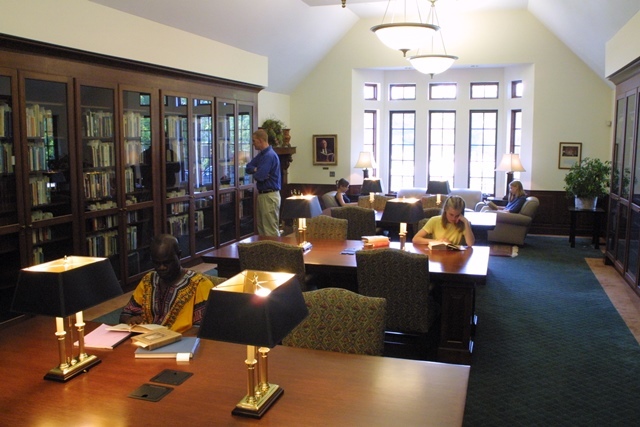 The Kilby Reading Room – Photo 2: Researchers come from all over the world to use our collections. 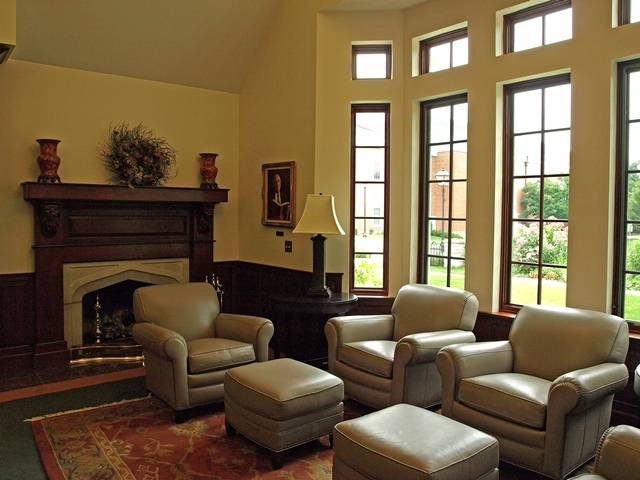 The Kilby Reading Room – Photo 3: Comfortable reading chairs, and a fireplace for cold winter days.